Here comes everybody – is there a need for formal associations anymore? – BID Inc. Do Good Work. Here comes everybody – is there a need for formal associations anymore? 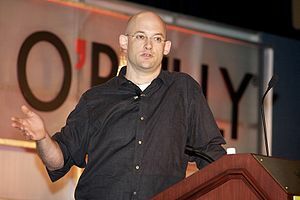 A couple of years ago I read Clay Shirky’s “Here comes everybody“. In case you haven’t heard about it, the book is about the transformation of association. How society as a collective has shifted in the post-Internet age. Communities, neighbourhoods, networks, information, politics and justice, the digital era of collectivism and activism was upon us. When I first started BID Inc., I followed the checklist of the traditional business startups. I joined the local chamber of commerce, the women in business association, and the industry (IT) association. I also signed up for in-person meetings via meetups, joined several LinkedIn groups, etc. I received countless newsletters from a variety of these associations and groups. At one point, I was running from event to event, mixer to mixer, reading, deleting, making sure I was out there in the community and staying on top of the pulse of business in PEI. It was between going to class and running to another event that I started to wonder if my business was actually benefiting from all this socializing. Were these mixers even good networking events? These were questions that were percolating in the back of my mind for a while as I started getting tired from the event rounds, worrying about those back-office tasks piling up on my desk and dealing with the guilt that I was neglecting my family. Death by association or the death of association? Last week we held a forum on mentorship as part of Startup Canada’s Canadian Mentorship Challenge. I’ll be writing about the results of the event in an upcoming post, however at the forum, a very interesting conversation emerged and reminded me of Shirky’s book. Why did startups have to join these associations in order to connect with each other? Why would a startup join an association given the ability to meet without paying an annual membership fee? What benefit did a startup receive from these associations? Is it necessary to be a part of a formal association anymore? After a year of formal and informal associations, digital and analog meetups, and hybrid models of both, I would have to say the most rewarding networking to date has been through the LinkedIn groups and from my personal efforts to reach out and connect with people online and offline. To be the major voice of business in the greater Charlottetown area on economic issues and to provide services and opportunities for members to enhance their ability to do business. The Greater Charlottetown Area Chamber of Commerce is a non-profit organization made up of business and professional people sharing a common goal – the economic development of the capital region. It looks like I was partially right. Throughout their mission statement in bold were four words: advocacy, benefits, networking and education. Perhaps this kind of association isn’t benefiting me because they are still servicing the traditional business model and I am looking for something else. Maybe I can successfully organize without the organization, especially when it comes to networking and education (and also mentoring). And you know what? I’ve come to accept that it’s okay if the Chamber and I aren’t a good fit. I believe startups need more of the networking and mentoring and less of the advocacy and benefits when trying to get their businesses off the ground. I believe technology has removed the barriers of organizing so that startups can connect easily with experienced entrepreneurs and successful businesses willing to share their knowledge. And I have experienced networking in-person that was organized online and know face-to-face interaction can be organized virtually. Does this mean I won’t renew my membership to the Chamber next year? I’m not sure. But what it does mean is that I’m going to start being more selective in the events I attend, the mixers I socialize and associations I join. The power to network, share and collaborate within my own community of like-minded entrepreneurs, is in how I make use of the social networks and online resources available to us all instead of in the paid membership of association. Today is a great day to dream big! My strategy for 2014.